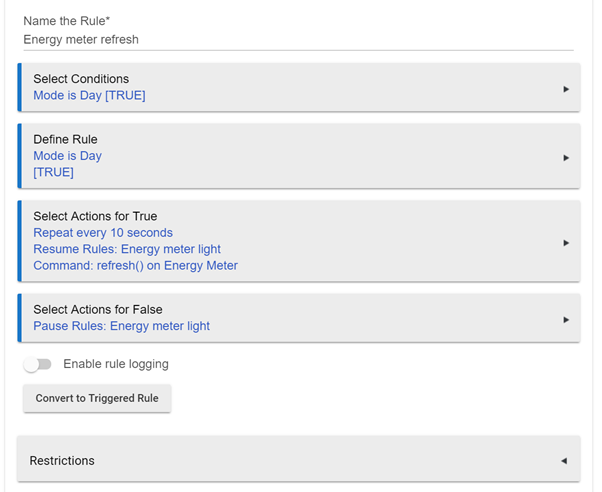 messy way to achieve goal but just created a rule to refresh the energy meter every 10 seconds. See how it goes but so far so good. Do you not get this error in the logs ? Are you able to detail your steps for this please? I've got it paired, and using that device code from the page you linked, but i'm not getting anything. I'm not sure why. I'm hit refresh dozens of times, yet nothing. Configure etc. Sorry for the late reply. No errors. 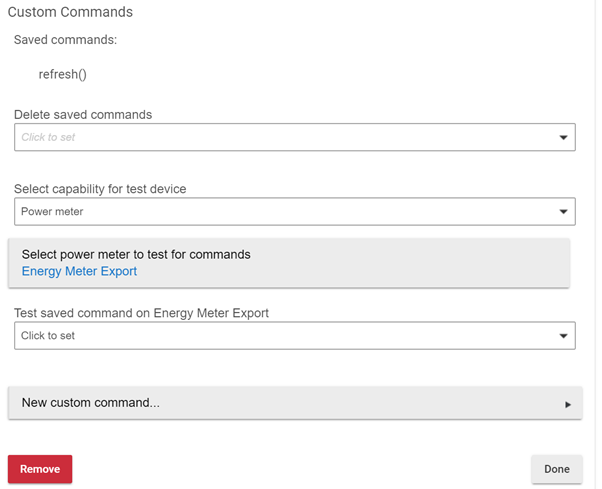 The preferences of the custom driver does not allow to turn logs on/off. @mike try turning the clamp around. if on the incorrect way it may all read zeros. Yeah I've tried it both ways. What handler are you using? Edit: the driver you linked is a laundry thing, I think. @mike I am sure it is the one I listed above. Go to the thread I linked above and scroll down the the driver listed by "vjv" use that one. Yes, That's the driver I've been using and I now understand what you said about "updating" because when I first go into the Device page it only displays a portion of the returned data but if I hit refresh, I get the missing data displayed. Would anyone be able to get the second clamp to display as well? It's adding up both clamp 1 and clamp 2 and putting the total in the power attribute (see above). It does not seem to be reporting these clamps independently. Here is the user manual. I cant seem to make sense of it. The parameters in the driver bear no relation to the parameters in the manual. @adamkempenich Tagging Adam, as you seem to be able to surf a (Z)wave. Funny enough. I think I have the US model of that. It’s one of four devices I have yet to install in my new house, though. Maybe I’ll find time to fire it up in the next week or so. Yes, to display both power levels. 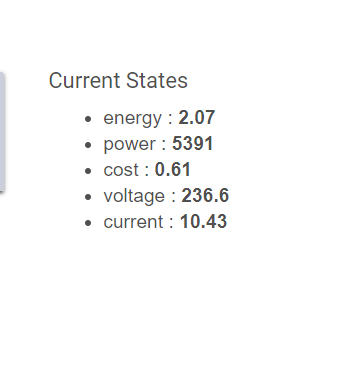 I have solar, and would like one of the clamps to display house usage, and the other to display solar generation (or export). There is a child/parent DH for a HEM, but I dont think it's Philio/zipato compatible. It's not for me. Thanks @adamkempenich, I'll also be keeping an eye on this for whatever you can put up. Hey Adam, did you ever take a look at the Philio HEM driver ?? Specifically if a driver could be modified to make use of BOTH sensor clamps ? Not yet. Any chance you could send an Amazon link to the one you have? Mine doesn't have the power meters—so I'd like to make sure it works right. I think I can find time this week. @adamkempenich, I couldn’t find an Amazon link but about 6 posts up this thread @mike has posted the driver we’re currently using and the device manual.